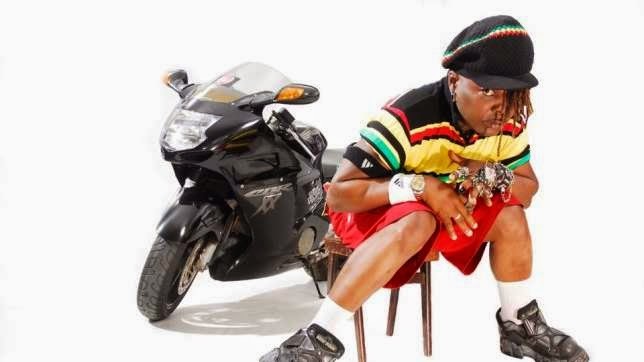 Veteran entertainer Charly Boy has said he will ride his power bike from the capital city of Abuja to China on one condition. Responding to some Nigerians who are trekking long distances to celebrate the victory of General Buhari at the presidential polls, the weird one pledged to ride his bike from West Africa to Asia if the president-elect fulfills one thing during his administration- making the Naira as string as the US dollar. "Una remember D guy wey trek from Lagos to Abuja? Another Malam wan ride bicycle from Sokoto to Abuja. All for General Buhari, hummmmmmm! Makachukwu, if Buhari fit make 1Naira become 1Dollar, In the next four years.I go ride my Bike from Abuja to China I swear" wrote Charly Boy on his Facebook page today, April 30, 2015.